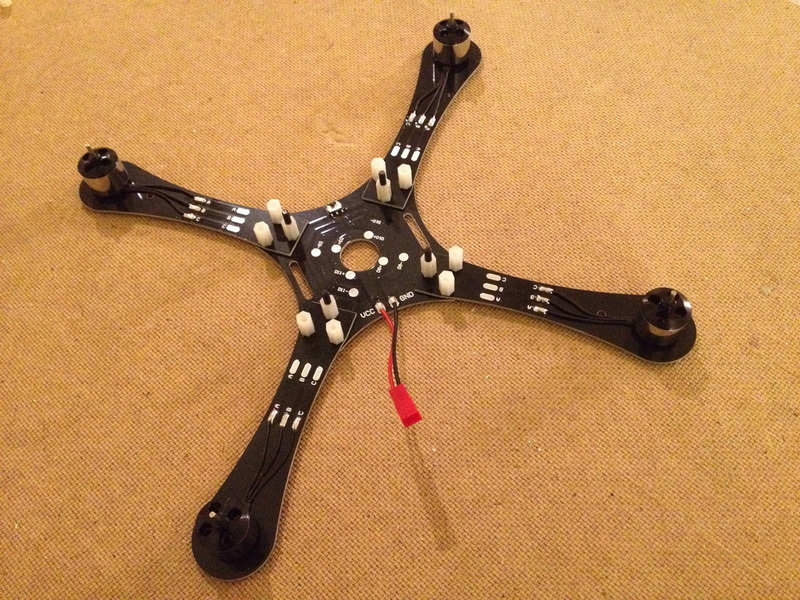 The bottom plate of the X250 acts both as a power distribution board and as structural support for the frame. 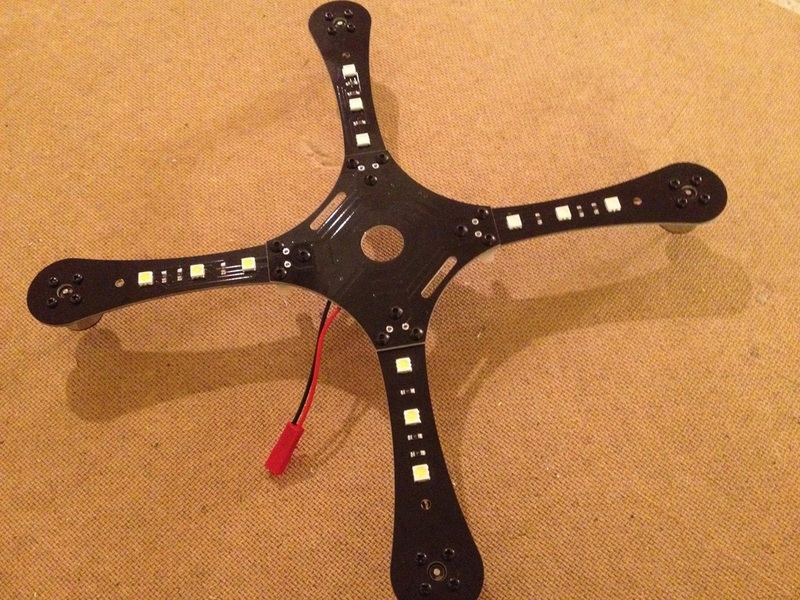 The power distribution carries current for both the ESC's and the LED's that on each arm. 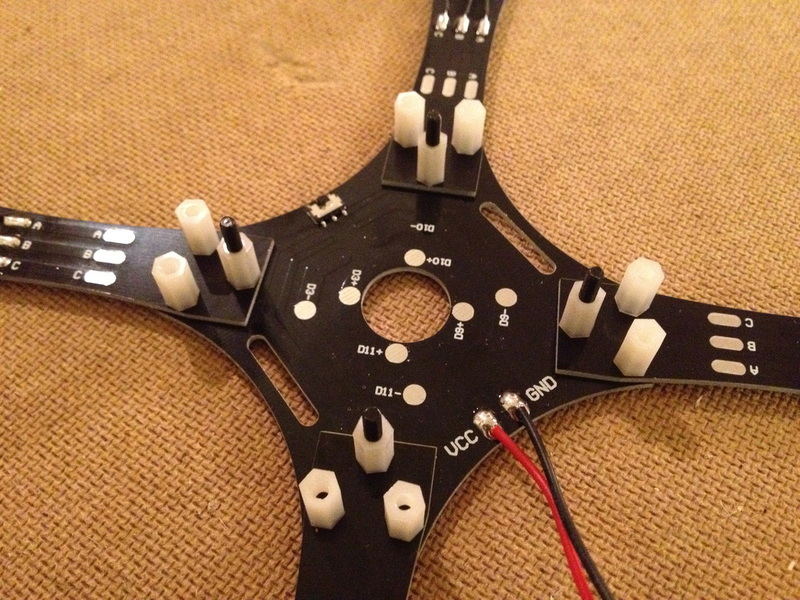 There is even a little tiny switch soldered into the plate so you can turn the LED's on and off. 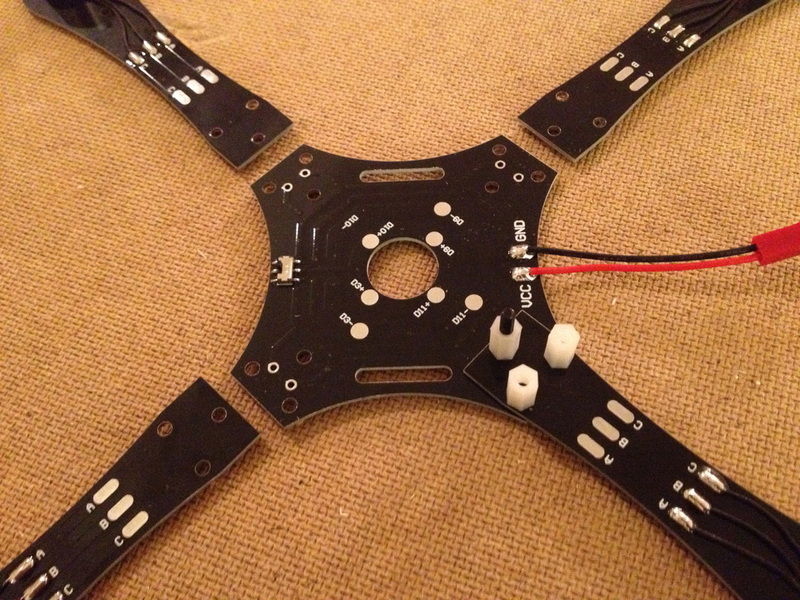 The first thing I did was align my arms with the holes on the bottom plate and secure them in place with the screws and nylon standoffs provided. 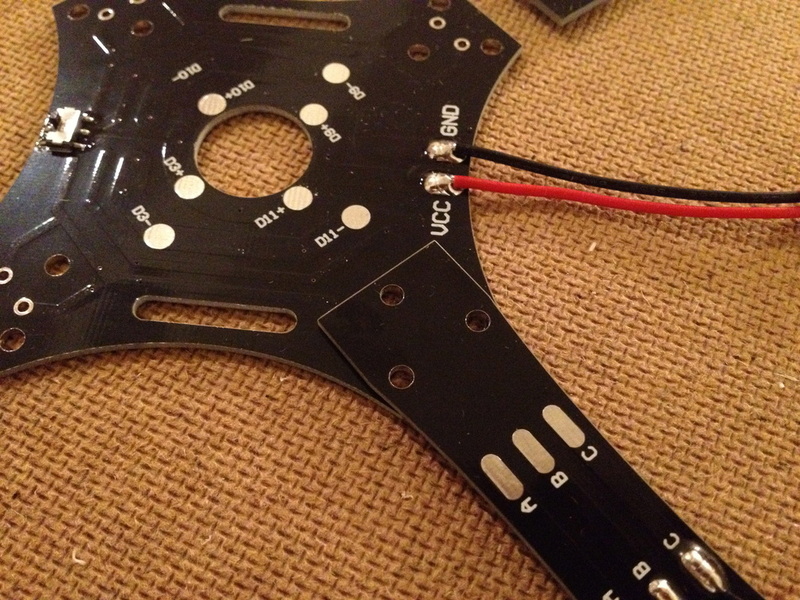 Note: The bottom plate came with the power cables already soldered into the VCC and GND ports. 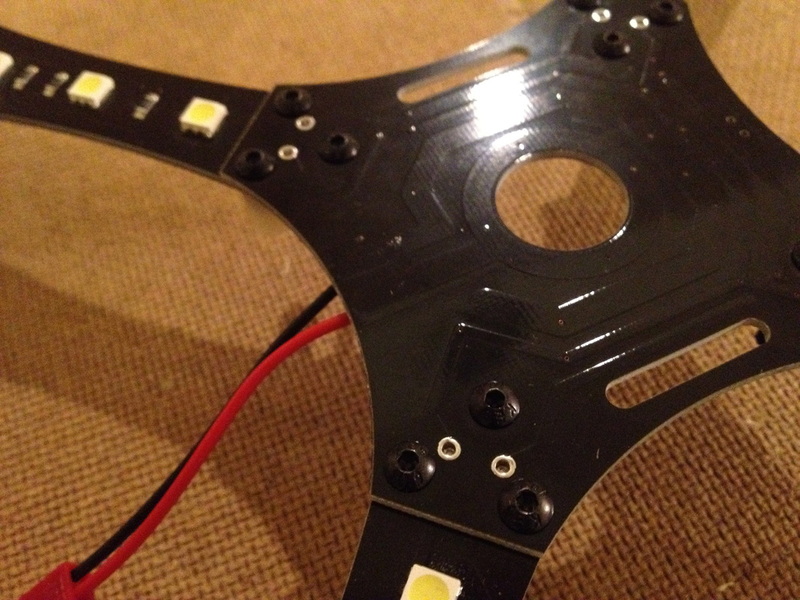 I repeated this for all four arms and tightened down all the bolts to make sure those LED solder mounds made good contact with the bottom plate.